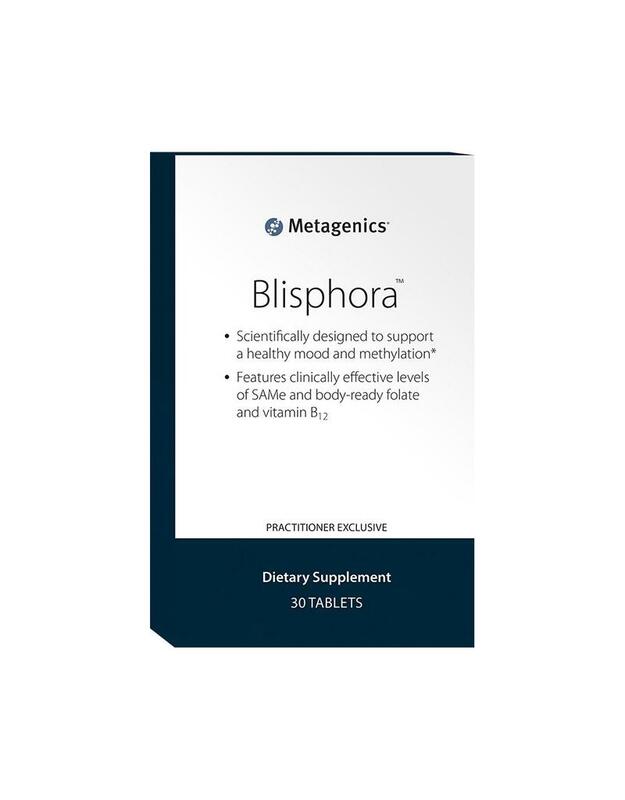 Blisphora is a revolutionary, proprietary formula featuring clinically effective levels of SAMe, a compound that is a critical component of many biochemical reactions and plays an important role in supporting positive emotions*. 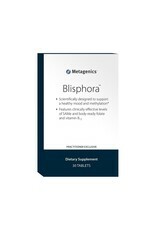 This powerful formula combines significant levels of body-ready folate and easy-to-absorb vitamin B12 to support healthy SAMe metabolism, methylation, and neurotransmitter synthesis for a balanced mood*. Other Ingredients: Microcrystalline cellulose, magnesium stearate (vegetable), stearic acid (vegetable), silica, mannitol, carboxymethylstarch sodium salt, and coating (methacrylic acid copolymer, triethyl citrate, titanium dioxide, and silica). This product is Gluten Free and Vegetarian.